You might think these guys are in training, stretching, practicing punches and looking intense. NO WAY! 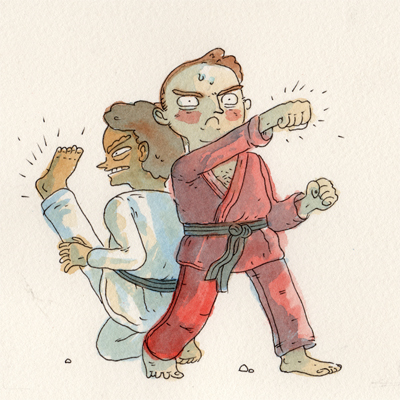 They’re battling it out with another in the uncoordinated, wrong-way-facing, idiotic manner of a true KARATE CHAMP!